A friend just send me a link to Coe & Waito. I'm not sure if she knows about my ceramic addictions: one for 60s and 70s vases, the other for pure white porcelain. 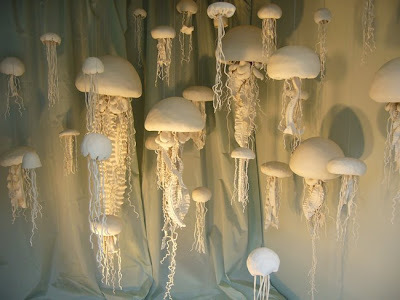 So, I was both thrilled and horrified by this site - Shelby this IS going to send me broke. My only chance is to have them sell out. So check it out and shop up a storm people! 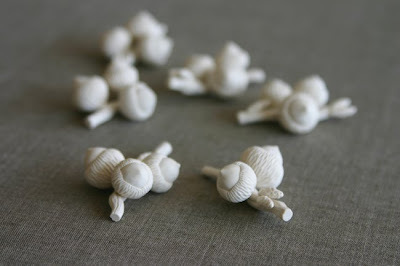 Acorns from 3x2.5cm at CAD $150 / €95 . This is my favourite. 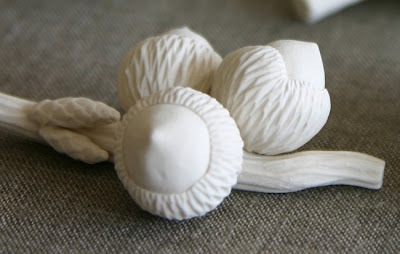 I think I really need an acorn. 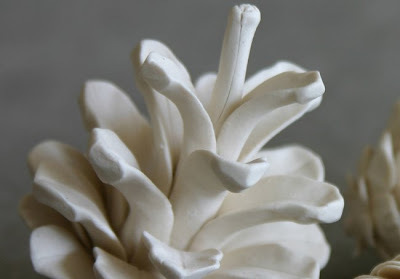 The women behind these gorgeous objects are Alissa Coe and Carly Waito of Canada. 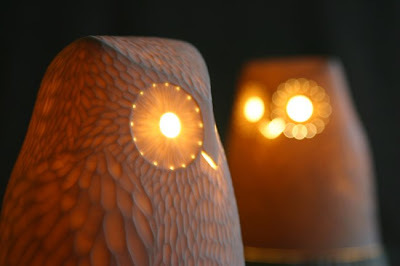 Owl lamp, 21x16cm CAD $500 / €318 . 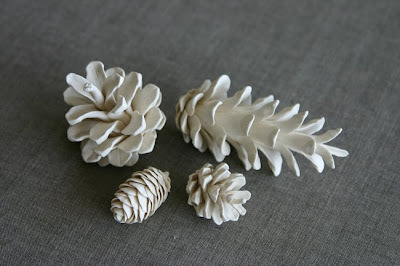 Pinecones from 2.5 x 3cm at CD $150 / €95. 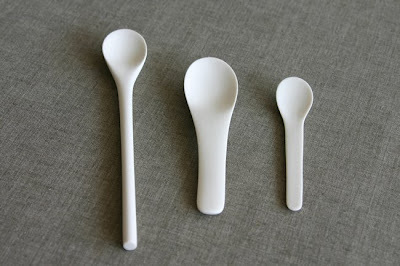 Spoons from 10.25cm at CD $28 / €17.85. They also do special projects, like this large scale installation last year for the event 'Come Up To My Room' at the Gladstone Hotel in Toronto. 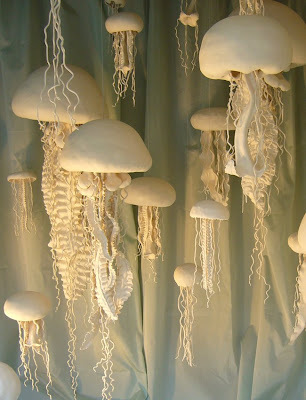 These hand sculptured porcelain jellyfish are incredible.